As the garden has been so wet this year I decided the garden needed more access to any available light. 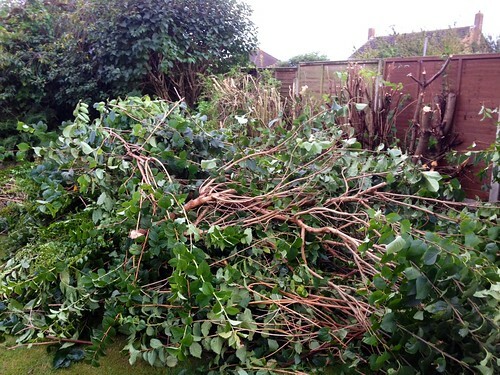 This meant that some severe pruning of the shrubs along the west side of the garden. It was a difficult decision as I enjoy the privacy the shrubs provide but it had to be done. 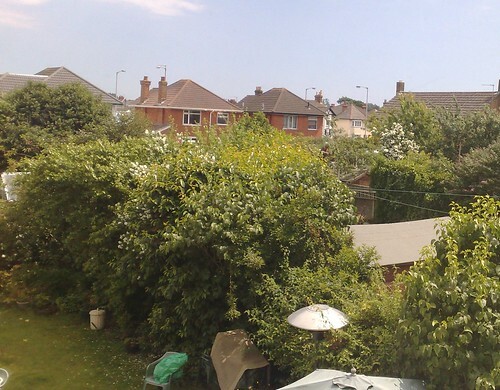 It took several hours to do but I managed to cut the hedge down to a third of the height. It looks extreme but it will grow back next year albeit to a managable height. 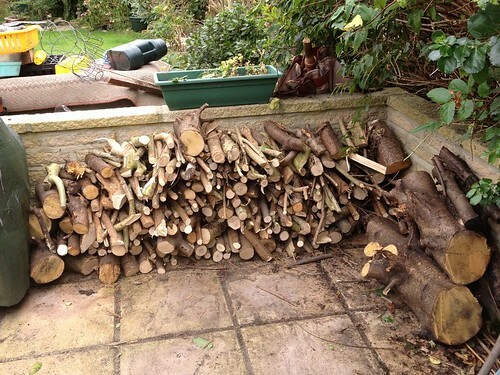 Not only has the garden got more light now but I also have a decent wood pile I can ultimately use as firewood but for now will act as a great place for all manner of wrigglies to overwinter in.